When: Sunday, April 28, 2019 at 8:00 a.m. sharp. What Run or walk as far as you can, for up to six hours. Also, USATF Certified Full Marathon. You may use the Marathon as a Boston Qualifier. Official times for each concurrent event (6-Hour and Marathon - you are in both!). All timing stops at 2:00 p.m. Partial laps at the end of the race will count, but only if the runner completes the full lap. Chip timing. Where: Amherst Bike Path at Northtown Center, 1615 Amherst Manor Dr., Williamsville, NY 14221. (South-East of the UB Amherst campus). Take I 290 to exit 5B, exit north on Millersport Highway (SR-263) for one mile. Exit at the Coventry exit (second light) to right. The Northtown/Pepsi Center parking lot is on left. Course: Scenic loop, P-shaped, paved, traffic free. Aid Stations: Located at Start/Turn Around (every 3.25 miles), with Gatorade, water, pop, cookies, bananas, pretzels, etc. Pizza served twice (or more) during the 6-hour period. * Medals to all finishers. * Results will be posted on the web including BuffaloRunners.com . and Number Pick-Up Sunday, April 28, 2019, 7:00 to 7:45 a.m.
* Checks made payable to the "BuffaloRunners.com"
and Post-Race Party: Near the start line as runners finish. Note on Marathon Marathon is attained by running 8 Loops + 495 yards of this circuit. The marthon completion location is marked on the path in chalk. Timing stations are located at that location for you. 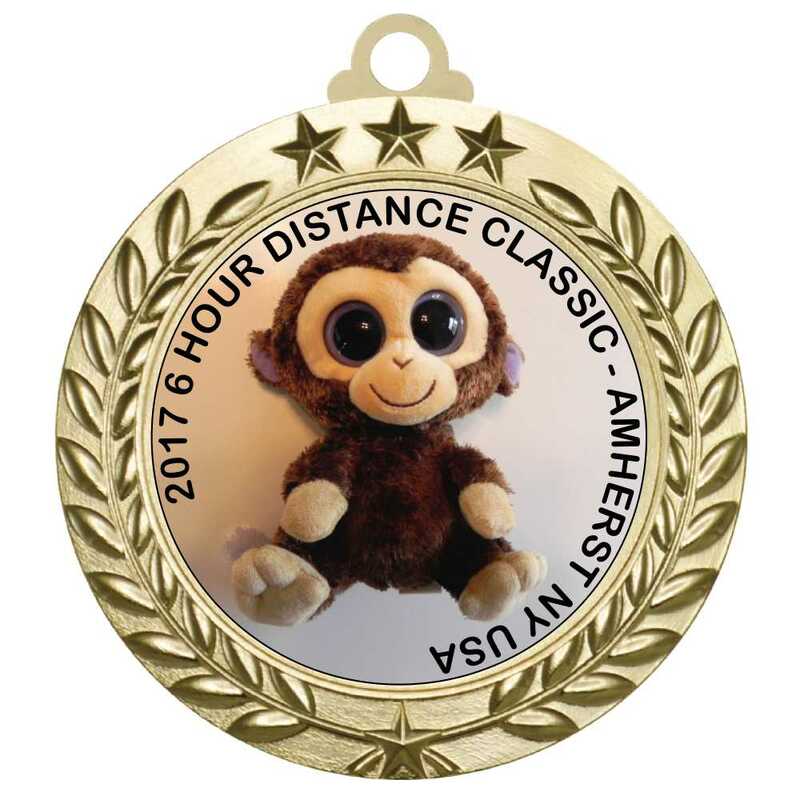 The BR-6HOUR Marathon is a Boston Qualifier. The BAA solicits our marahton results each year to identify "BQ" performances. Runners have qualified for Boston at our event.